I regret that I cannot find English-language versions for you. But the visuals are everything. Complete film below. Wikipedia page for Santo. 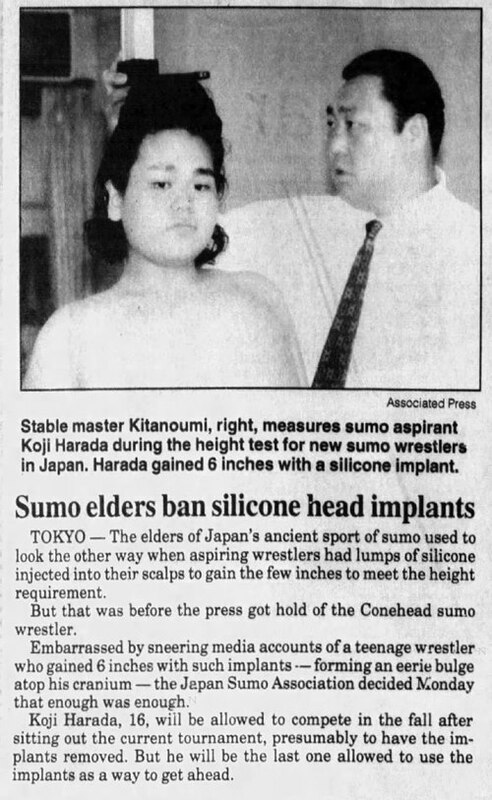 I don't follow contemporary wrestling, but some cursory googling seems to reveal that there are still "little people" active in the sport. 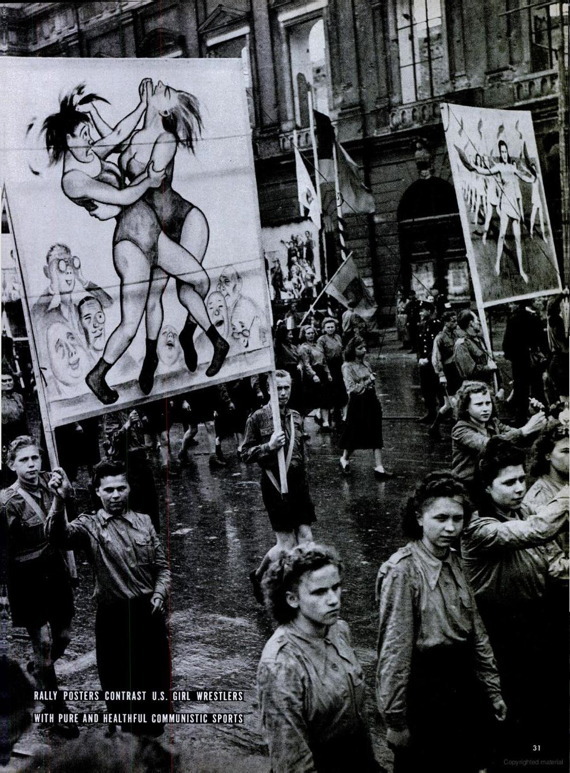 "Rally posters contrast U.S. girl wrestlers with pure and healthful communistic sports." I wonder how many people at this rally were thinking that the U.S. girl wrestling looks a lot more fun. 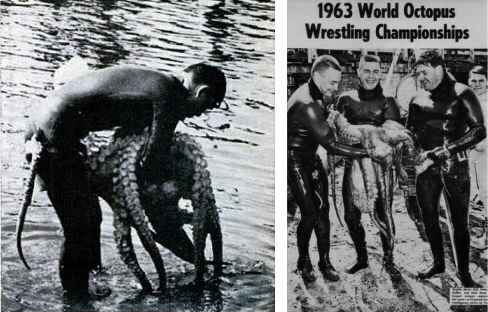 According to wikipedia, octopus wrestling "involves a diver grappling with a large octopus in shallow water and dragging it to the surface." Two things work for the hunters. The octopus is basically timid, and divers work in teams. One man goes down (about 50 feet) and tries to force an octopus from his cave. 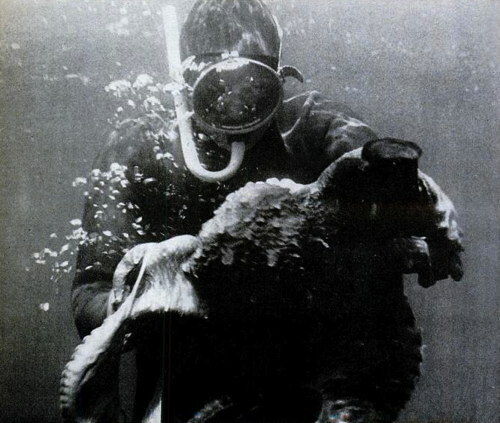 When he comes up for air, the second man goes down and tries to pry the octopus loose from the rocks. If he's not up in 30 seconds, the third man goes down. They don't harm the animals. They just weigh them and throw them back in. Why do they do it? Well, why not? His portraits were too realistic. 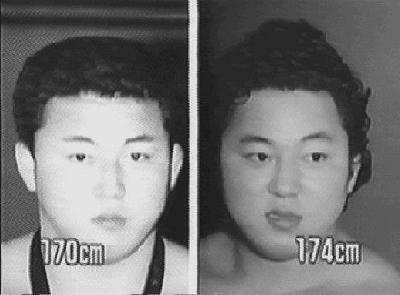 If a rich dowager had three chins, he refused to conveniently omit two of them. 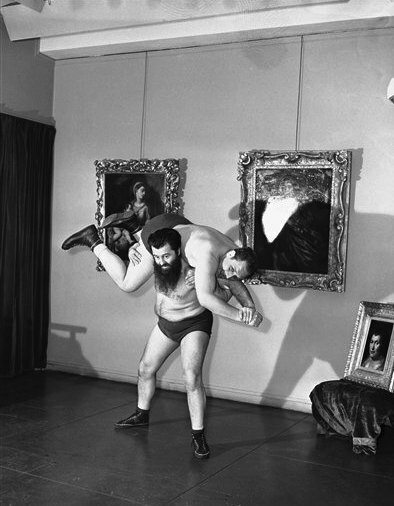 As a result there was no rush of customers, so the painter turned to wrestling as a means of earning an honest dollar. Unfortunately I haven't been able to find any examples of his art, except for the ones that can be seen behind him in the pictures below. 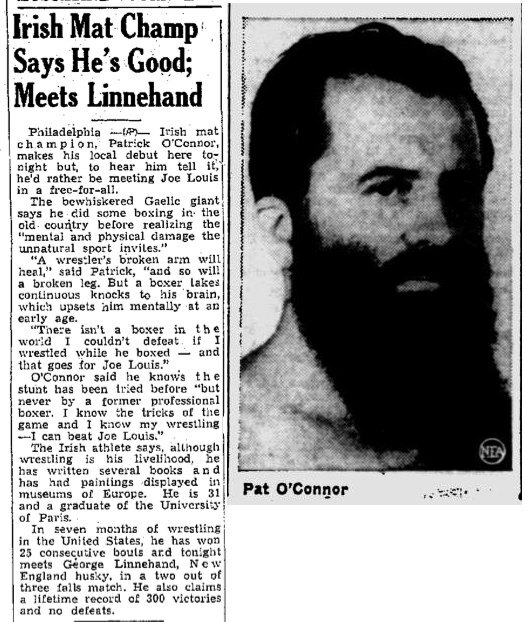 O'Connor is the one with the beard. The pictures were taken in his art studio. Best--if only--movie about arm-wrestling ever? Watch the trailer, then the whole thing, then decide. Or save a painful 90 minutes by reading this review. WU-vie "jswolf19" presents this astonishing find. Thanks, JSW!